The holidays are a time for fun and family, but they can also be hectic and even unhealthy. Check out the following tips to help your kids (and yourself!) make good choices for a safe and healthy holiday season. Kids get most of their physical activity during school and at after-school activities. While they’re off on the holidays, they run the risk of being tied to digital devices, video games or the television. And although they deserve some off time and to celebrate like anyone else, there are lots of ways they can get physical activity during their time off from school. Consider the following: Children and adolescents should do 60 minutes (one hour) or more of physical activity each day. That includes aerobic activity (like brisk walking or running), muscle strengthening (like gymnastics or push-ups), and bone strengthening (like jumping rope or running). Remember that kids should wear helmets when doing physical activity that could cause injuries, like biking or skating. Drink water instead of sugary juice or soda. Add fruits and vegetables to every meal and snacks and make sure to incorporate whole grains into meals. Did you know that the flu is more dangerous for children than the common cold? Every year, millions of children get sick with seasonal flu; thousands of children are hospitalized and some even die from it. Children younger than five-years-old who become sick with flu can suffer many complications like pneumonia, dehydration and brain dysfunction. Flu can also could worsen diseases like heart disease or asthma. The best way to prevent the flu is with a yearly flu shot. This vaccination can reduce flu illnesses, doctor visits, and missed school, as well as prevent flu-related hospitalizations. Everyone six months and older should get a flu vaccine every year before flu activity begins in their community. The Centers for Disease Control and Prevention recommend getting vaccinated by the end of October, but if you’ve fallen behind, the shot is usually available through January or February. Speak to your health care provider to find your best options. If they have flu symptoms, stay home for at least 24 hours after their fever is gone (except to get medical care). Cover their nose and mouth when they sneeze or cough, and throw the tissue in the trash after it is used. Wash their hands often with soap and water. If that’s not available, they can use an alcohol-based hand rub or hand sanitizer. Avoid touching eyes, nose and mouth, which spreads germs. Learn more about kids and the flu and how to fight it. Sleep is important for all ages, but especially for your children as they grow. When your kids don’t get enough sleep, it increases their risks of obesity, high blood pressure, and causes behavioral issues like depression, aggression, anxiety and hyperactivity. Not getting enough sleep also makes kids overtired and limits their attention, causes them to have more mood swings, and can affect their performance at school. Infants aged birth to 2 months need 12-18 hours of sleep per day. Infants aged 3-11 months need 14-15 hours of sleep per day. Toddlers 1-3 years need 12-14 hours of sleep per day. Toddlers 3-5 years need 11-13 hours of sleep per day. Children 5-10 years need 10-11 hours of sleep per night. Children 10-12 years need 8.5-9.5 hours of sleep per night. Teens 13-17 years need 8.5-9.5 hours of sleep per night. Adults need at least 7 hours of sleep per night. Set bed and wake-up times at the same time each day, including weekends. Keep bedrooms quiet, dark and a comfortable temperature. Remove electronic devices from your child’s bedroom. Avoid large meals and caffeine before bedtime. Make sure kids are active during the day so they can fall asleep at night. Model good sleep behaviors for your children. Read more on how to combat stress in your kids. 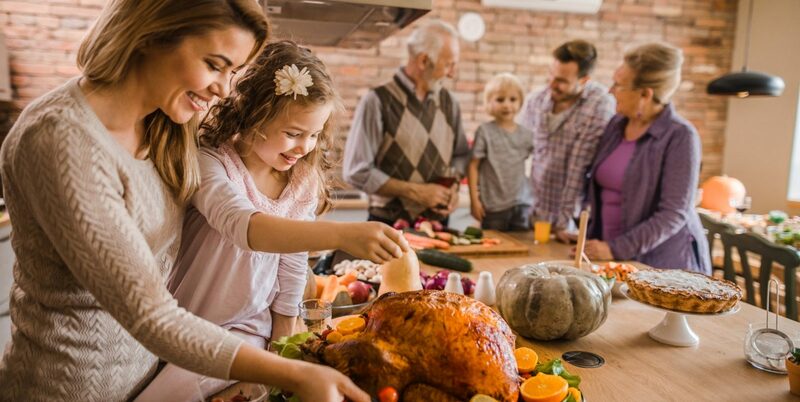 Whether you’re heading out of town by land or air during the holidays, there are lots of ways for the family to stay healthy and safe while traveling. Are you making it a road trip this year? Remember when traveling by car to use proper car seat safety, and buckle everyone up, every time. Pack healthy snacks and plenty of water for your journey, and take time for rest stops to stretch your legs. Road trip tip: Pull over at rest stops for some physical activity like walking, jogging or jumping jacks. Parents: if you’re feeling tired on the drive, make sure you pull over to change drivers or nap. Drowsy driving can cause serious automobile accidents. Learn more about how you can prepare for safe and healthy travel with your children.